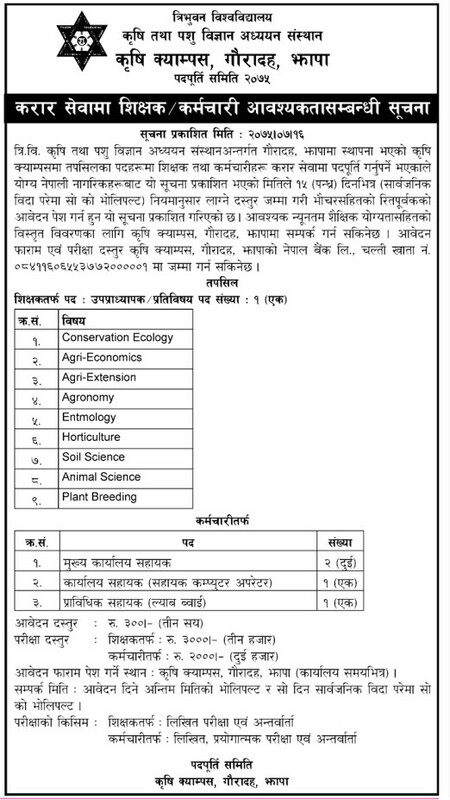 Tribhuvan University, Agriculture Campus, Gauradaha, Jhapa announces a vacancy for the post of Lecturers of various subjects, Senior Office Assistant, Computer Operator, and Lab Assistant. Exam Fee: Rs. 3000/- for Lecturers and Rs. 2000/- for other positions. Other positions: Written Exam, Practical Exam, and Interview.